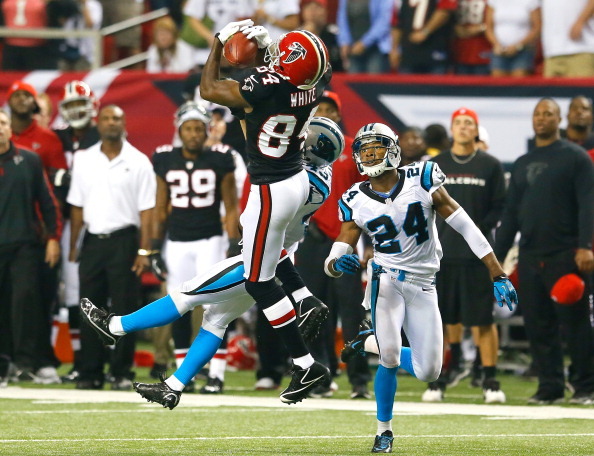 It’s difficult to accept the result from Sunday’s NFC South shootout if you’re a Carolina Panther. The Panthers (1-3) have made headlines about the success they expect from this season but have yet to prove those claims to be of any value. After a stunning last minute loss in the Georgia Dome to the Atlanta Falcons (4-0), the Panthers, begin the journey home with more than enough to think about. The silver lining in Carolina? The offense was – for the most part – executing the way that they have been expected to all year. Quarterback Coach Mike Shula and Head Coach Ron Rivera have been trying to eliminate the turnovers that Cam Newton allows this season. Improving his decision making and continuing to allow him to run at times has kept Newton out of difficult situations where his inexperience shines through. The emphasis on Newton’s turnovers is well deserved; Newton turned the ball over five times in just two games against the Atlanta Falcons in 2011. 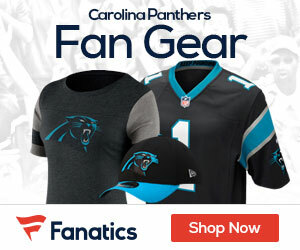 His performance Sunday was what kept Carolina in the game – Newton was accountable for three total touchdowns without turning the ball over once. The Carolina Defense also replied to their embarrassing showing last week against the New York Giants by applying consistent pressure on Matt Ryan. Charles Johnson also totaled 4.5 sacks on the day. While going in to next week with only one win, the Panthers have some things to build off of. Cam Newton has to stay out of the turnover category to put the Panthers in the position to win. Other areas that Carolina needs to improve – the secondary. The Carolina secondary has been torn to shreds by quarterbacks this season. Eli Manning turned last Thursday in to a clinic, and while at times Matt Ryan had little to no options down the field, giving up a 59-yard reception with the back of the end zone nipping at Ryan’s heels in nearly inexcusable. Adjustments will be made and more wins will come in Carolina but as of now a Super Bowl is the furthest thing from expectations.